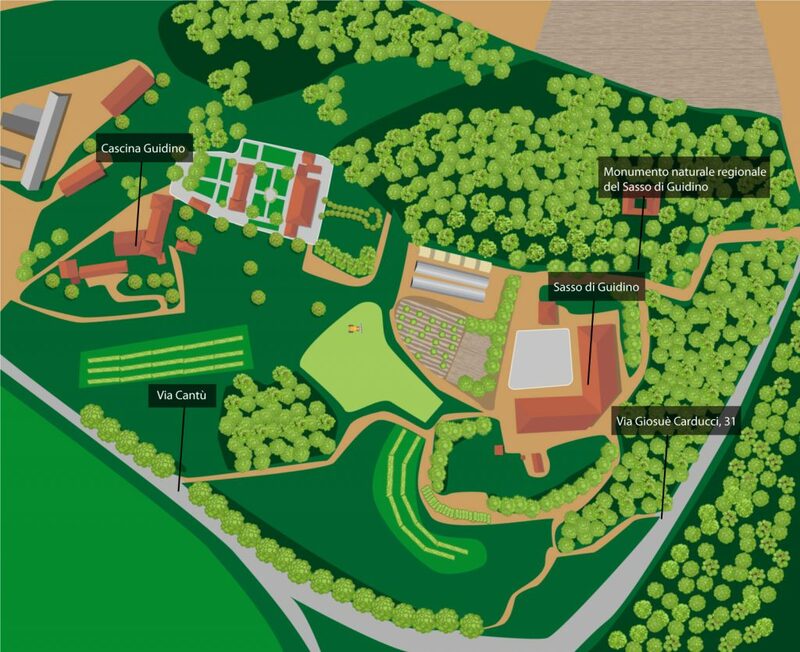 ​The Centre’s structure, perfectly integrated in the green field, is suitable for equestrian activities and for social life. The relaxing surrounding is easily enjoyable by the members’ companions. The serenity of Centro Equestre del Guidino eases the Pet Therapy activities, perfect for those who are looking for a relationship with animals. in brickwork, completely indoor, in two stables. The glass windows protect from wind, making the enviroment cool during the summer and warm during winter. With double fence, wooden and electrical, where you can leave your horses during the day. 10 hectares, completely fenced off, to walk safely in the middle of vineyards and orchards, and to meet the little animals who live freely in the park. with warm showers and personal lockers. to play freely and enjoy nature..